At this charming, authentic Italian spot on the edge of Highland Park, chef-owner Julian Barsotti uses local, organic, and sustainable ingredients to produce everything from elegant lobster ravioli to a simple white pizza. There are usually 10 freshly made choices of pasta, and, thankfully, Barsotti offers a five-pasta tasting plate. 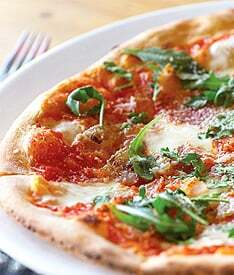 The menu changes often, but the wood-burning oven always turns out thin-crust Neapolitan pizzas.